Corporate Coup: Where Have You Gone Teddy Roosevelt? The gulf was widening between a tiny elite that was growing richer while the vast majority was seeing the evaporation of economic security and social mobility. Political leaders were largely voices of the powerful who backed campaigns and swayed votes with gargantuan political donations. Cities were witnessing growing violence, as people grew helpless and hopeless with police apparently more interested in cracking heads to maintain order than enforcing laws to promote justice. Rapaciously ambitious business interests that government seemed unwilling or unable to regulate for a common good or sustainable future were befouling the air, water, and forests. The media pandered to the lowest common denominator with stories of the latest crime, tragedy, or scandal while ignoring what truly mattered. It was the United States. It was 1895. Everything seemed to be circling the porcelain facility with gathering speed. But then, something happened. 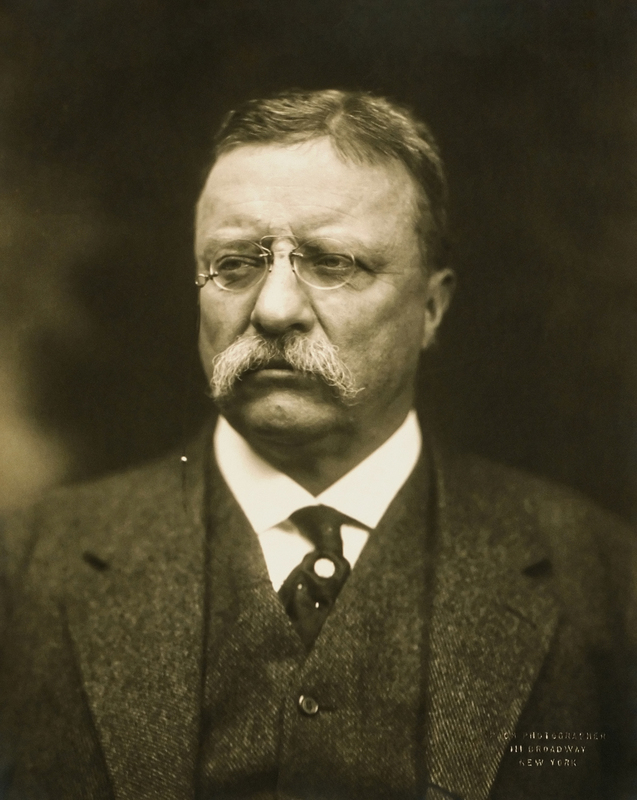 Theodore Roosevelt was born to a affluent family in 1858. He could have taken his wealth and Columbia law degree and chased women or money or both but instead chose public service. As a New York assemblyman he was aghast at the working and living conditions of the poor to which his privileged upbringing had blinded him. He fought the deep pools of wealth and swirling eddies of political power that sought only to maintain the status quo or enhance its inequity. A string of family crises took him to the west but he was soon back and with a burning desire to bring right to so much wrong. As New York City’s police commissioner he often took a reporter in tow and toured the city’s mean streets at midnight. He fired cops who were found asleep, corrupt, or unworthy of the badge. He shone light into dark tenements where unfair advantage, unenforced laws, and accepted practice worked against the working poor. He continued these efforts as New York’s governor. With each demand for reform, he was threatened by those who believed him a traitor to his class and a danger to bosses who ignored laws, rules, ethics, and morality. Roosevelt’s Republican Party, seen as the party of the rich, white, elite, began to move against him. Many Republicans applauded his being moved out of the way with his appointment as President McKinley’s Assistant Navy Secretary. They were even happier when, after his daring military exploits in Cuba made him nationally famous, he became McKinley’s Vice President. At that time the old joke rang true: One man went to sea and the other to the Vice Presidency and neither was heard from again. However, McKinley was assassinated in 1901. At age 42, Roosevelt became America’s youngest president. Upon moving in, by the way, it was he who changed the name from the President’s Mansion to the White House. Roosevelt moved slowly toward implementing his Progressive agenda and was helped immensely by a growth in investigative journalism. McClure’s Magazine began it all with the publication of a number of fact-filled articles detailing corruption in government, unions, and business. Its greatest writer was Ida Tarbell. She wrote a series that exposed the Standard Oil Company as the worst of the huge trusts that were enriching a very few while exploiting workers, destroying the environment, and making a mockery of democracy and capitalism. The McClure’s articles, and others that followed their lead, afforded Roosevelt the public support he needed to take on the trusts and their powerful mouthpieces in Congress and the mainstream press. He used the largely toothless Sherman Anti-Trust Act to launch a lawsuit that ended up smashing the trusts and their corporatist Congressional power. Despite what critics had warned, the economy did not collapse, in fact, it thrived as never before as millions were now participants and contributors rather than its minions and victims. From this effort came what Roosevelt called his Square Deal. It was a program of government action that regulated business to make food and products safer, workplaces more humane, living conditions more human, and, through it all, the American dream more aspirational and obtainable. Hope replaced despair. Again, despite the warnings, the government activity did not end ambition; rather, it allowed it a more fertile field in which to blossom. The Square Deal attacked the notion that the rich can’t be taxed and poor can’t be helped. This idea was the corollary of the maxim that the rich won’t work because they don’t have enough money and poor won’t work because they have too much. Roosevelt showed both were bosh. Roosevelt was the first environmentalist president. His National Monuments Act created parks, bird sanctuaries, national forests, and game preserves. Against the baying lobbyists demanding the right to drain profits from untapped resources, Roosevelt protected national treasures such as the Grand Canyon. Upon leaving the presidency, Roosevelt took pride in the fact that Robber Barons who had been despoiling capitalism and democracy were chastised. A movement for the responsible stewardship of the environment had begun. The role of government as the arbiter for the people rather than apologist for the little elite was established. The practice of socializing risk while privatizing profit was put at bay. Now, though, it is 1895 again. The slow motion corporate coup d’état that began in the early 1980s in the United States, Canada, and Britain is nearly complete. Those noting the trend and offering solution are, like before, ignored, belittled, or attacked as enemies of the democratic, capitalist ideals they are trying to save from those who sing their praises while violating their principles. I guess its up to those of us who believe in real democracy and capitalism and not what they have become. It is for us to see through the negative ads, scandal de jour, screeching pundits, twitter trolls, ideologically warped cable news, and bread and circus on offer. Perhaps those eager for change will not take to the streets but, rather, there will be a quiet but popular rejection of those who are bought and paid for. Maybe a lot of folks – it never takes a majority, just a lot – will call out those who use our money to bribe us and insult us by ignoring us or by hissing “obviously” through smirks. Maybe enough people will make it clear that we actually see through the contradictions between their words and actions and see their irony on parade and the cynicism of their papier-mâché faux patriotism. Perhaps there is another Roosevelt out there and who know which party he or she is in? Teddy? Are you there? Postscript: The story is true. Roosevelt was an avid hunter who once refused to shoot a small bear that his guides had leashed to a tree lest he go home without a kill. A toy company heard the tale and produced stuffed bears that it named after the president, hence, Teddy Bears. If you enjoyed this column, please share it with others and consider checking my other columns and even following my weekly blog. John – a well written, interesting, challenging and very informative “call to action”. Thanks so much for your insight.